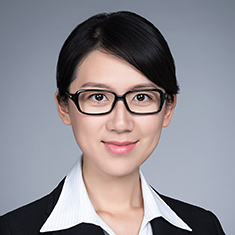 Karen Fang is an associate in Katten's Shanghai office and is fluent in both English and Chinese. She advises clients in a multitude of industries including logistics, retail, consumer goods, pharmaceuticals, chemicals, Internet, media and advertising. Karen has extensive experience representing funds, investment banks and multinational companies in private equity and venture capital (PE/VC) transactions, fund formation, cross-border mergers and acquisitions, restructuring, overseas listings, going-private transactions and foreign direct investments. Prior to joining Katten, Karen worked for a leading PE/VC fund as legal counsel. She also practiced for more than six years with the Shanghai office of a top-tier domestic law firm and the Shanghai representative office of a leading US international law firm. Karen has been qualified as a PRC lawyer since 2006.